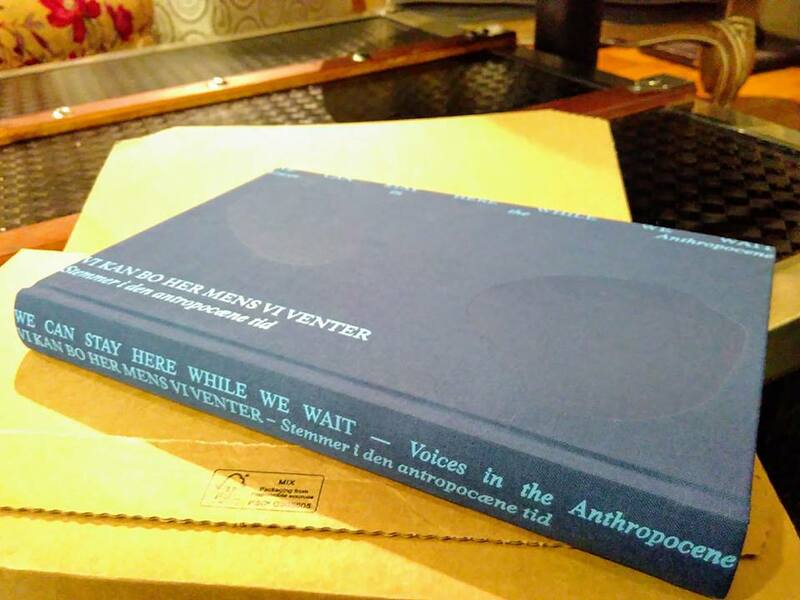 Here’s a fine thing that just arrived – We Can Stay Here While We Wait – a new bilingual anthology of writings in the Anthropocene, including a Danish translation of the principles from the Dark Mountain Manifesto. Thanks to the folks at The Independent AIR. The book is available from their site. Anthology from Sissel Thastum on Vimeo. 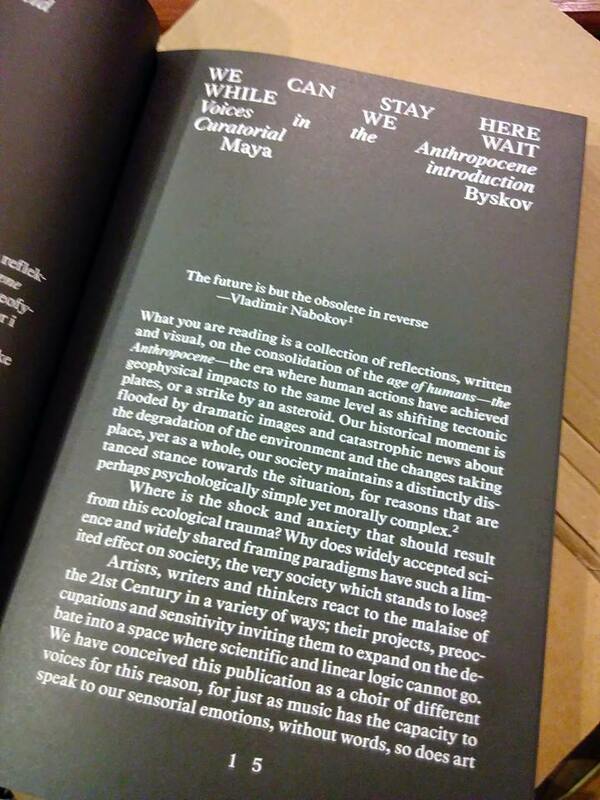 The Independent AIR has edited this anthology with poetic, literary, scientific and philosophical texts to accompany the artistic exploration of the Anthropocene. 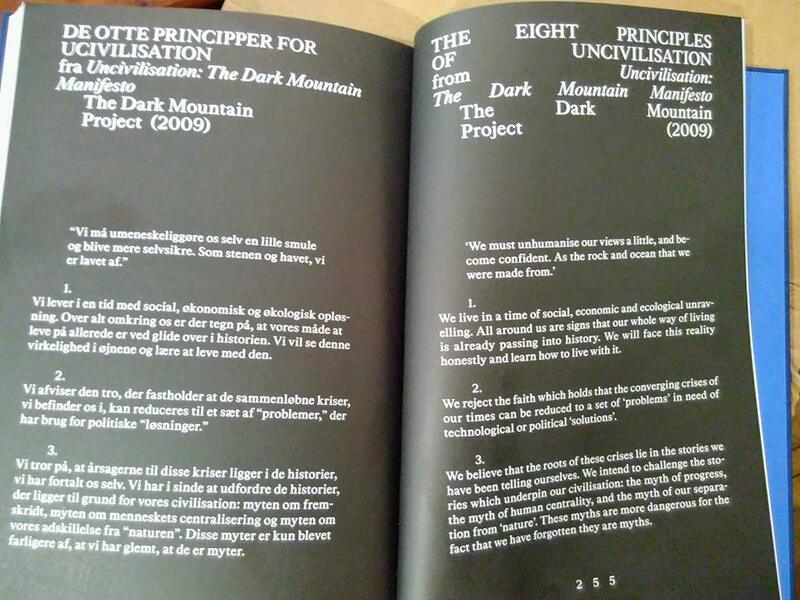 The book is conceived as a choir with different voices, that while singing in different tones and depths, comes together in unison to comment and expand on the Anthropocene as a living and critical subject. 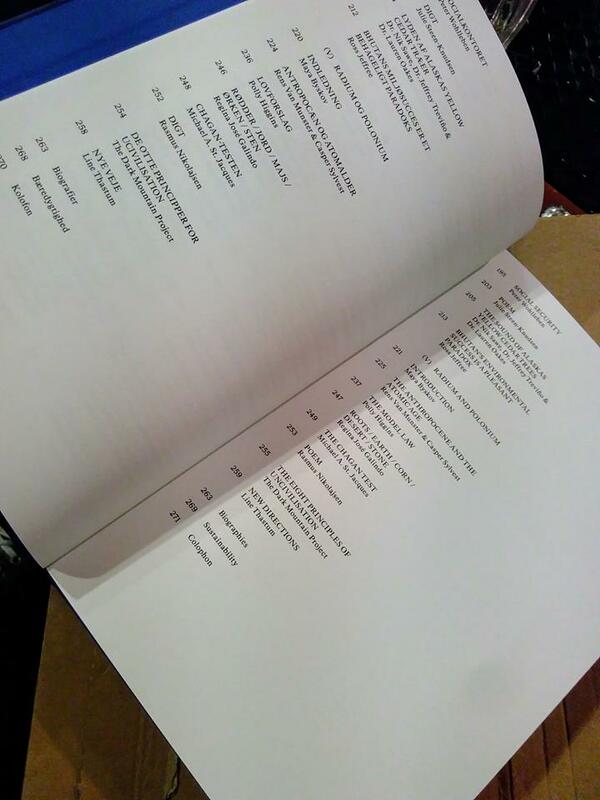 The Anthology is divided into 5 chapters, each dealing with different elements that relate in a vital way to the way we interact with the planet. The Plasticsphere deals with plastic and its pervasive presence; Sentient Beings is a chapter about animism and the interconnected spirit. Seeds explores plants and trees as locations of ecological disruption, Political Ecology highlights the connections between economic development and marginalisation and lastly, Radium and Polonium is a chapter which crystallizes the philosophical weight and geopolitical importance of atomic power. With contributions by among others Polly Higgins, Tim Jackson, Timothy Morton, Amartya Kumar Sen, William Wordsworth, Slavoj Zizek and many more.